The installation of smart home devices is growing rapidly. Security providers and cable companies are driving the expansion. In the six years up to 2016, more than 161 million units were delivered to homes around the world. At the moment the largest region benefiting from smart home solutions is North America, accounting for around 62 percent of the world’s smart home market. By 2020, however, the Asian regions are forecast to match the North American market’s size, with each coming to represent about 39 percent of the global smart home market. Safety and security devices are the glue that is holding the current smart home together. Of the smart units so far installed they represent almost 43 percent. By 2020, the dominance of safety and security devices is expected to have been superseded by climate control and consumer electronics devices. Currently, the majority of smart home solutions are not integrated with each other and individual devices are managed by their own apps, though a significant minority are controlled through central hubs plugged directly into gateways or routers, and using bridging protocols like Wi-Fi. This is forecast to change and develop with smart homes increasingly being controlled via integrated hubs. 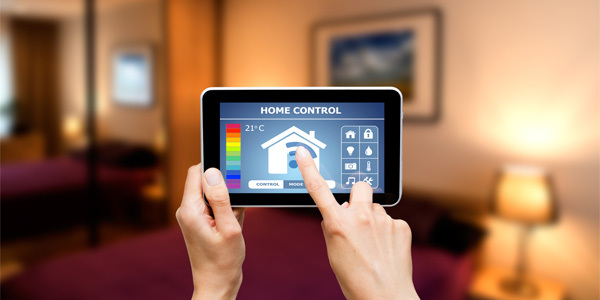 By 2020, it is reckoned that 75 percent of smart homes will be controlled via smart phones and tablets. The majority of the remainder are forecast to be managed via set-top boxes, televisions and gaming consoles. The smart phones we carry in our pockets are increasingly powerful tools that have the capacity to make our lives a whole lot easier. As you may have noticed, virtually every technological advance enhances the already impressive capabilities of our phones. The next big step, that is already being made, is into our homes. It is one of the most crucial and exciting trends in digital innovation. The idea is that by developing smarter homes we can enhance our control over just about every aspect of the way we live and our houses operate, and in so doing increase accessibility and safety simultaneously. In addition, we should be able to reap the benefits of living in an increasingly efficient home, which should lead to savings in the prices we are expected to pay for energy and upkeep. The installation of appliances like smart ovens or self-programming thermostats, that get to know us as we use them, means we can use the apps on our mobile devices to have total control of our homes’ functions from wherever we are in the world. In this brave new world it will no longer matter if we forget to turn off our oven or air conditioning. In theory, the apps coming on the market each and every day have no limits to their capabilities. Apps and devices have been developed that give us control over our water usage, home stereos, lawn care, lighting, garage doors, dog’s food dish, and even grocery shopping – all from the device we carry in our pocket. It is now possible to have security systems installed that enable us to monitor the movements of guests to and from and through our homes, and alert us when any suspicious activity is detected. We can remotely not only lock doors and arm security systems, but also visually monitor activity with cameras operated from our phones. All this of course means it is possible to create safer, more secure environments for ourselves and our families. Imagine the peace of mind of having this kind of smart technology at your fingertips when you have small children, or elderly parents to care for. You would be able to receive alerts on your phone when anyone arrived or left your house. It’s even possible to track where they go when they’ve left. People who are disabled or elderly sometimes have tremendous difficulty doing even the most basic everyday task. The development of smart home technologies means their quality of life can be enhanced enormously. And thankfully, as many may be unfamiliar with computers, voice commands can now be used to make adopting these life-changing smart technologies much easier. The prospect is in sight of employing automated systems for activities like mowing the lawn to remove a big chunk of stress from the lives of the physically impaired. With the technology moving forward at such a rapid pace, an ever-increasing number of currently intractable problems are set to become things of the past. Difficult tasks could become much more accessible and achievable, improving independence and flexibility in the homes of people who currently may not be capable of caring for themselves and their homes. As well as enhancing ease and accessibility, smart home technology is also enabling appliances to work much more efficiently too, which translates into saving energy with all the environmental benefits which come with that advantage. One example of the bonuses of smart technology applies to induction cook-top stoves. These now can begin to heat only when a metal pan is put on top of them. The stove top can even recognise when the perfect boil has been achieved so unnecessary energy is not wasted. The cleverness even takes in water control, because there is now technology that can maximize the usage of shower water by changing the shape of individual drops of water to accomplish a more fulfilling shower experience while using less water than would be output by a conventional shower head. As well as the significant environmental and accessibility benefits, another great attraction of smart home technology is the impact it can have on our wallets. The potential for financial savings is enormous. In one study by the US Environmental Protection Agency, it was reported that users are able to save between 10 percent and 30 percent on their energy bills just by using smart technology thermostat controls. The saving of money with smart technologies is made even easier with monitors, timers and intelligent occupation detectors that ensure we only use what we want and when we are present. Enhancing our savings even further is possible if we adopt solar power or another energy transmuting devices. These enhancements can also have beneficial effects on the resale value of our homes. Amazon introduced the Echo smart speaker back in November 2014. Since then the electronic commerce and cloud computing company has continued to expand and refresh its collection of voice-enabled, hands-free, Alexa home assistance devices. 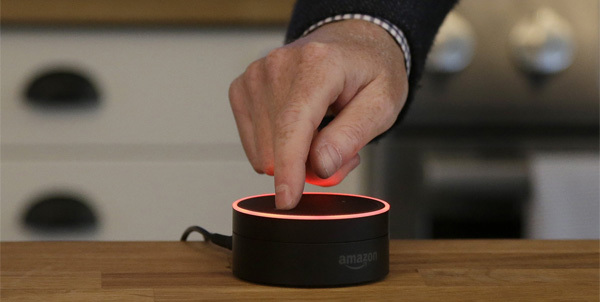 In 2016 the company launched the smaller, more handily sized Echo Dot and the battery-powered Tap, both of which enable us to carry Alexa around the house. This year Amazon has debuted a new messaging and calling feature for Echo devices as well an Echo Look camera for selfies and Echo Show that adds a seven-inch touch screen to the Echo experience. Alexa, which has also been built into the Amazon TV Firestick, can also now control our TVs. Nor is Amazon without competition. Google Assistant has found a place in the Google Home. Smart Speaker Apple’s Siri is already capable of controlling smart home gadgets on our iOS devices. As Christmas approaches, Apple will start marketing a HomePod Smart Speaker that promises enhanced voice control coupled with higher sound quality. Set up to integrate with our home assistance devices are smart light bulbs like Lifx Color 1000 BR30 LEDs. These are bright, efficient, and offer more attractive colors than the competitor Philips Hue bulbs. As well as integrating Amazon’s Alexa they can also be linked up with Nest Learning Thermostats, and the free web-based IFTTT service. Ecobee has been developing smart thermostats for some time but their latest, the Ecobee4, has taken the best aspects from its predecessors and added a remote proximity and temperature sensor, a responsive touch screen display, along with intuitive web and mobile apps. It also integrates with Amazon Alexa, IFTTT, Apple HomeKit, and Samsung’s SmartThings. Amazon has again stolen a bit of a march though, because as well as working with Alexa, the Ecobee4 actually acts as an Amazon speaker itself. The robot vacuum was probably one of the earliest smart devices any of us contemplated bringing into our homes. 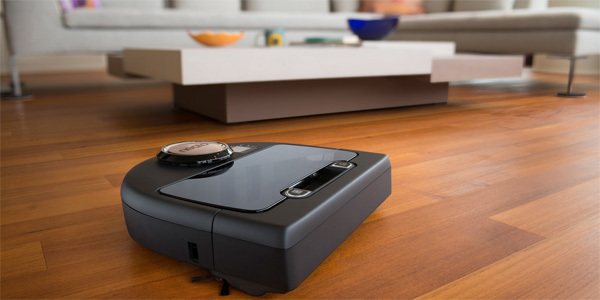 It predates smart phones and tablets but it has not allowed itself to be left behind and now a new throng of smart, app-enabled vacuums has hove into view. These include the Neato Botvac Connected, which is equipped with Wi-Fi and can be paired with apps on our Android or iOS devices. We can not only switch it on but also schedule its operations and steer it directly from our phones. Smart homes are so called because they take advantage of the automation technology, often coupled with modern building techniques, to prove us with new levels of control. There are smart homes being built from scratch but we can adapt our existing homes with the sort of smart gadgets that are already available without the need of major renovations. In either case, there is no doubt that smart homes offer many advantages over the conventional home. Some of the technologies are still in early development, and some elements may require investment to achieve longer-term rewards. Making some small adjustments and additions to our homes functionality now will make it easier to embrace larger ones that are yet to come, while enjoying the potential savings that are bound to add up.